HAPPY HALLOWEEN everyone, This holiday is one of my favorite!! 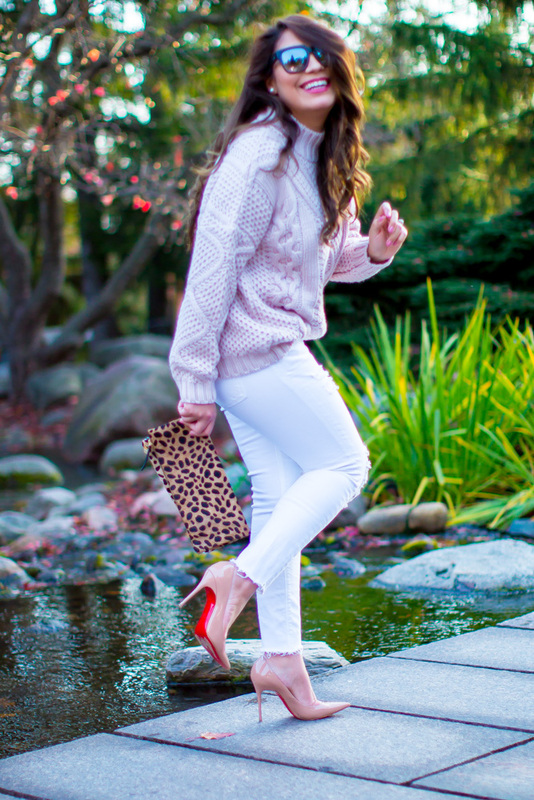 I wore this sweater like crazy this weekend, so comfy & easy to style. you don't really have to have a designer pieces for cute outfits. I love staples pieces you can match so easily with accessories, like this sweater. In other news, the last week we went to Chicago for fun and obviously to do some shot for my blog, and I get sick all weekend with a horrible pain in my lower back :( we stay on the hotel most of the time with room service, and the kids having fun on the pool :).. So we come back from Chicago without any picture (oh my gosh, lol), on monday I get ready for some shot and guess what??? when I opened the garage door, was raining can you believe? ..grrrr.. so I don't take it any picture almost in the whole week until friday afternoon with a beautiful day here in Minnesota.. After looking for a great place, I found the most beautiful garden with all seasonal trees.. The weather today for Trick -or- Treating its gonna be like 60 .. the kids are so Excited...!! Did you'll have a fun weekend !??? I would love to hear if you go to any halloween party or what are you planing for tonight.. !! Love blush and white together! Beautiful girl! I love this sweater! It's the perfect color for you! I love this sweater! So cozy. Perfect color for you too!